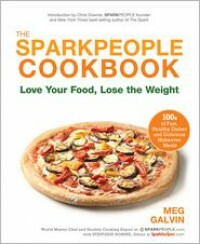 This cookbook gives a lot of useful healthy information in between the recipes. I know there are some recipes that I would not like, but I never expect to like every single recipe in any cookbook. I would definitely recommend checking out this cookbook. I actually own the Kindle version of this cookbook, but I borrowed it from the public library so that I could page through the physical book and write down the pages of the recipes that I would like to try.